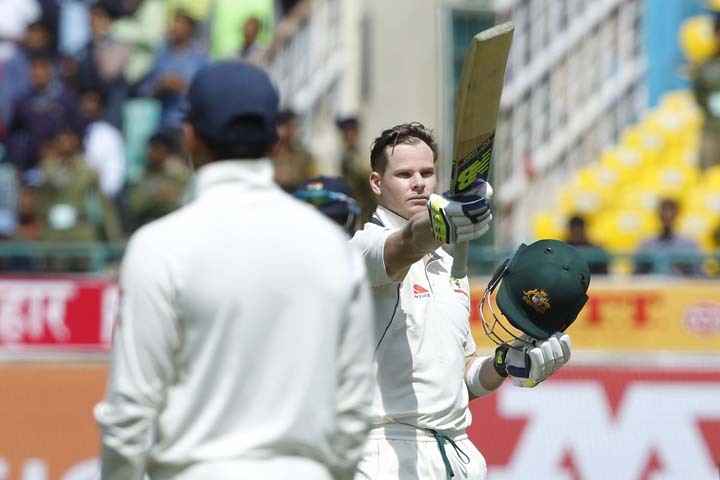 Australia at 208 for six at tea on day one of the fourth and final cricket Test against India. 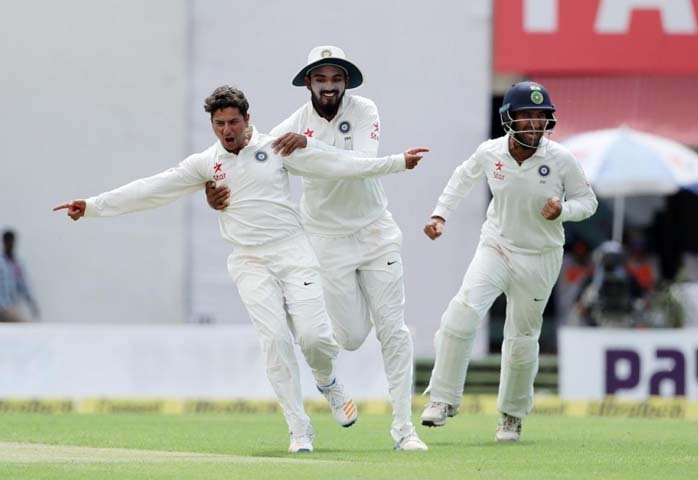 Dharamsala: Making a remarkable recovery, India reduced Australia to 208 for six at tea on day one of the fourth and final cricket Test at picturesque HPCA Stadium, here today. Australia skipper Steve Smith scored 111 while David Warner made 56 before being dismissed. Debutant Kuldeep Yadav took three of the six Australian wickets. The series is locked 1-1.